It’s been really nice having some sunny days and I’m really hoping they come back and stay, I think we’re all ready for spring. It’s that time of year when we start to look at our garden, that has been ignored all winter and see what jobs that need doing. When we brought our house just over two years ago, it came with a small patio and we knew instantly that we wanted to make it bigger, as it was something we would use a lot. I’m really pleased we made this decision, because we definitely do use it. I really want to try and keep it looking nice, but since having it done 2 years ago we haven’t cleaned it. 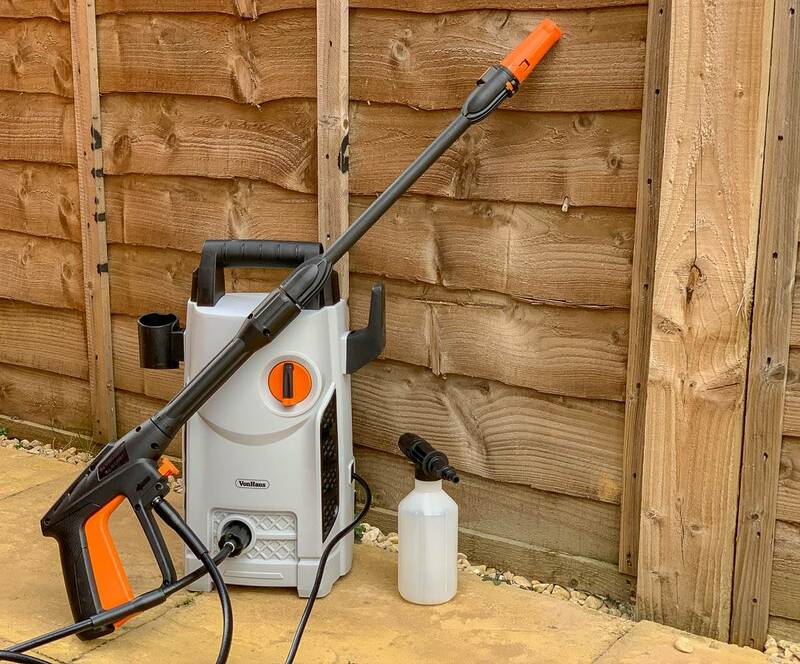 VonHaus got in touch and asked if we wanted to try their pressure washer. Does it make me sad or just old, that this excited me. 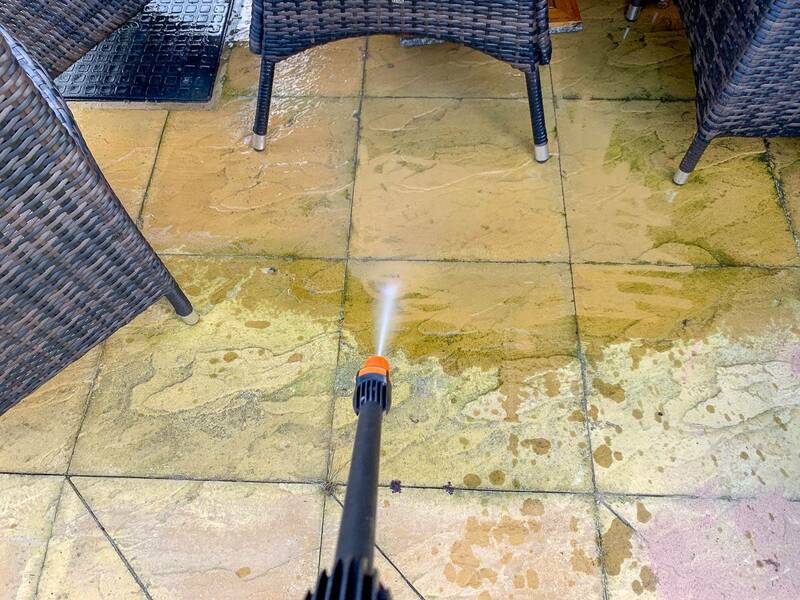 I’ve never had one before and the thought of being able to clean our patio was exciting. When it arrived I couldn’t wait to try it out and last weekend with the nice weather was the perfect chance to do so. It was really easy to put together, I managed it on my own while Andy was outside with the girls on their bikes. You attach the lancer to the front of the washer and it just screws on nice and tightly. 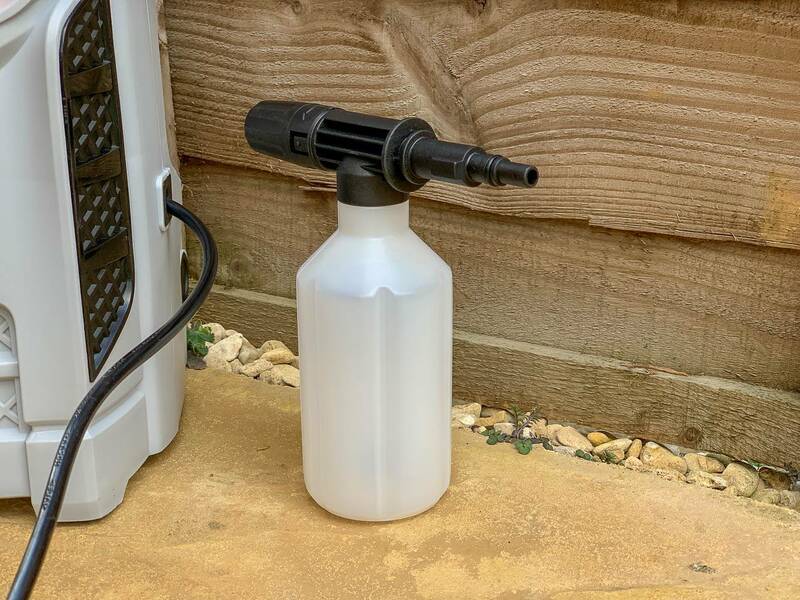 If your patio is particularly dirty and you want to use detergent in addition to water, it comes with a detergent bottle which you can attach. I wanted to see if water was enough for ours and didn’t attach it. You then need to attach your water hose, which is not included. 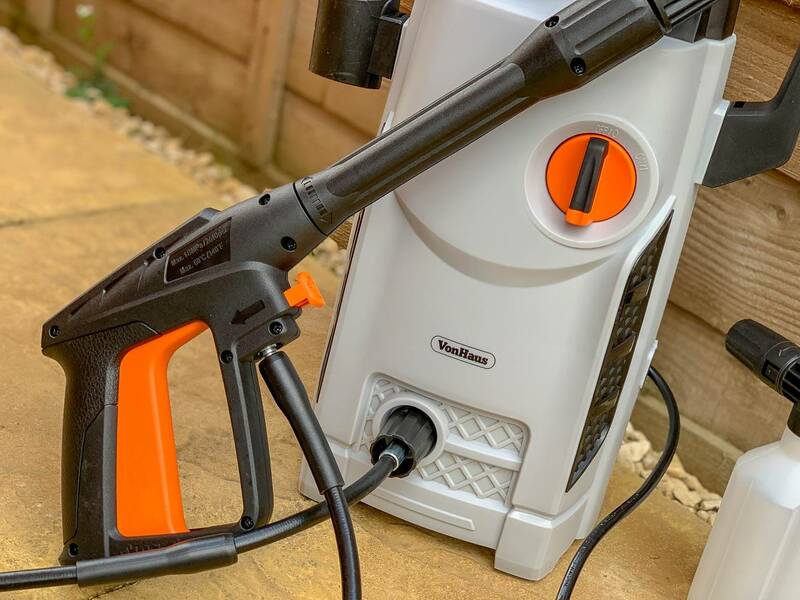 You add the hose attachment at the back and then you can attach your hose to it. This again was easy to do. Don’t then do what I did and think you’re done and go to use it!!!! Of course you also need to plug it in for it to work. Yes, Andy did laugh when I told him this is what I did…. I was then ready to start using it. 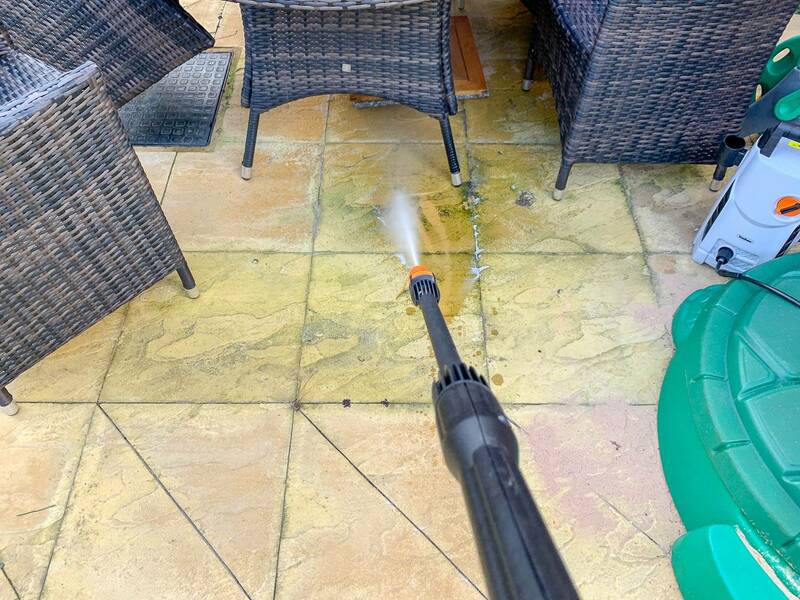 Here is our patio before I started and you can see all the green marks. I couldn’t wait to get going and I found it really therapeutic. To see all the stains going, just with water was just amazing. When Andy saw it, he couldn’t wait to try it out too and we are really pleased with the results. It is very noisy when you’re using it, so bear this in mind when using it and don’t do it when the kids are trying to sleep. Other things you can use it for are, cars, bins, paths and we are looking forward to trying it out on the cars. 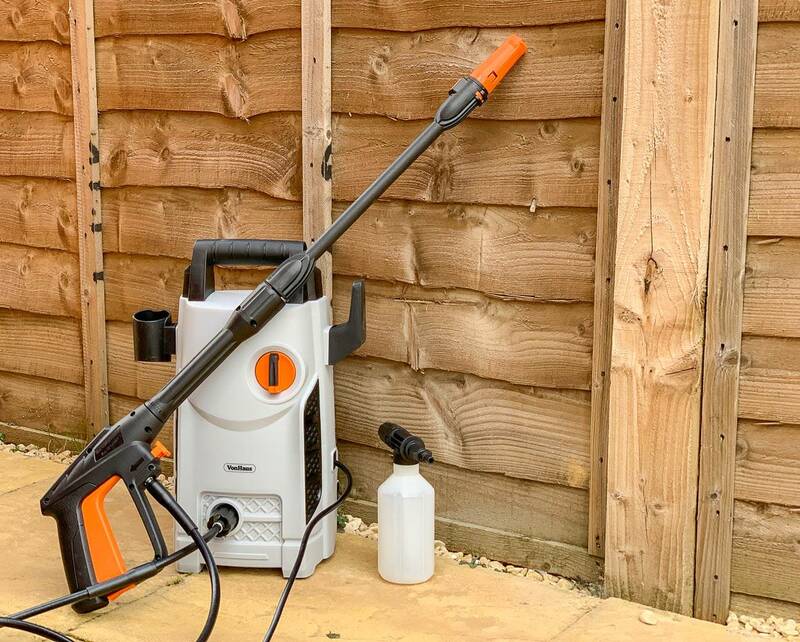 The VonHaus pressure washer is priced at £54.99. 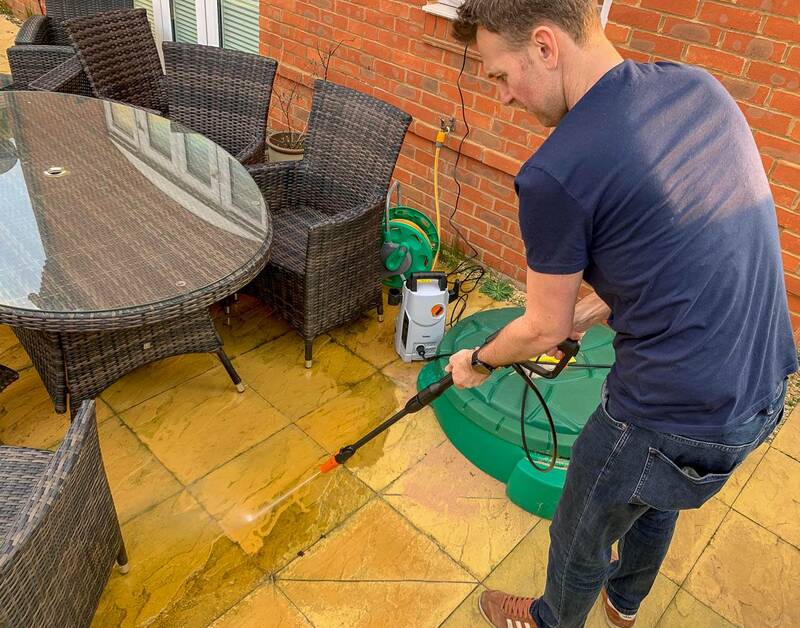 Disclosure: We were kindly sent our pressure washer in return for an honest review. All views, opinions and photos are my own. We paid to have our paths and gutters pressure washed a couple of years ago. 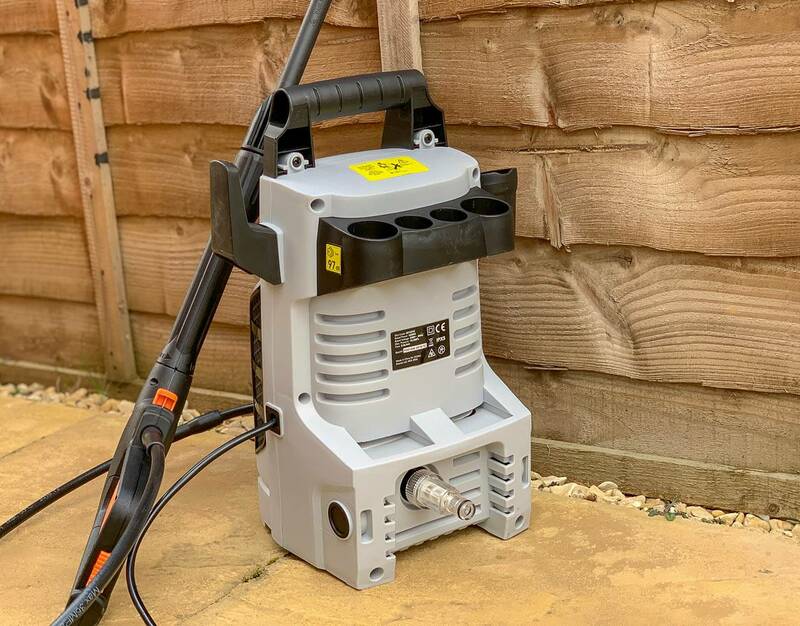 The firm did a good job but it cost nearly as much as the Von Haus pressure washer and we did not get the fun of using it. Ooh this is what we need, our patio is a state! I realised the other day that it’s about 20 shades darker than it needs to be! I’ll check this one out! That looks so satisfying! I bet the girls will be up for helping clean the cars now! !